This Valentine’s Day was the first year I was able to actually get myself organized and make a batch of sweet treats to share with my friends. Every other year something has come up, be it a vacation (oh, hard life) or a broken mixer (last year there was smoke involved), something always seemed to get in the way. This year I was determined, so I managed to cram two dozen cookies and some fights with my cookie decorating syringe (there were tears, there were shouts of victory, it was a mess) I got together a decent collection of pretty heart shaped cookies to box up. I found this adorable little treat boxes at the dollar store. 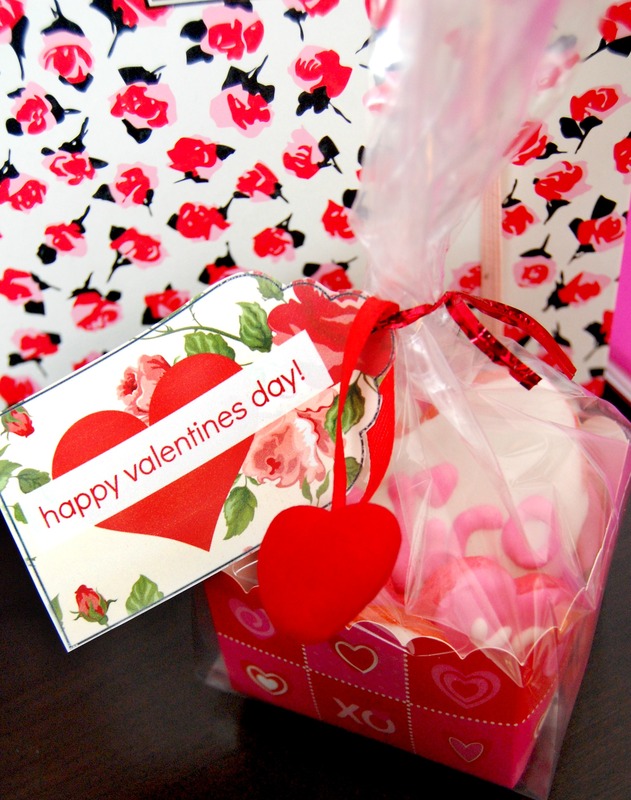 I bought pretty little heart patterned cellophane but when I opened the package up with the boxes I found they came with little red twist ties AND cellophane bags which I liked way better so it was an even smarter purchase than I thought! 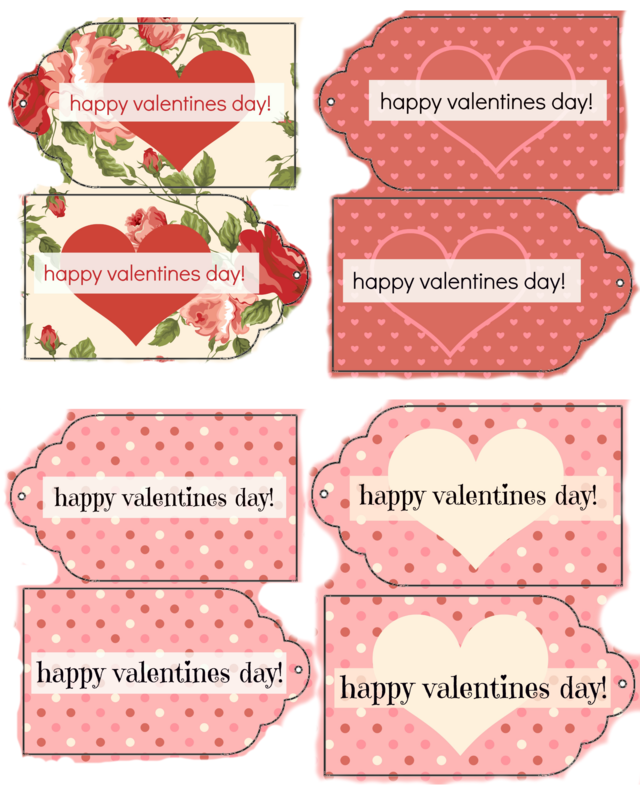 Of course no Valentine gift is finished unless it has a pretty tag, and that brings me to this week’s printable. 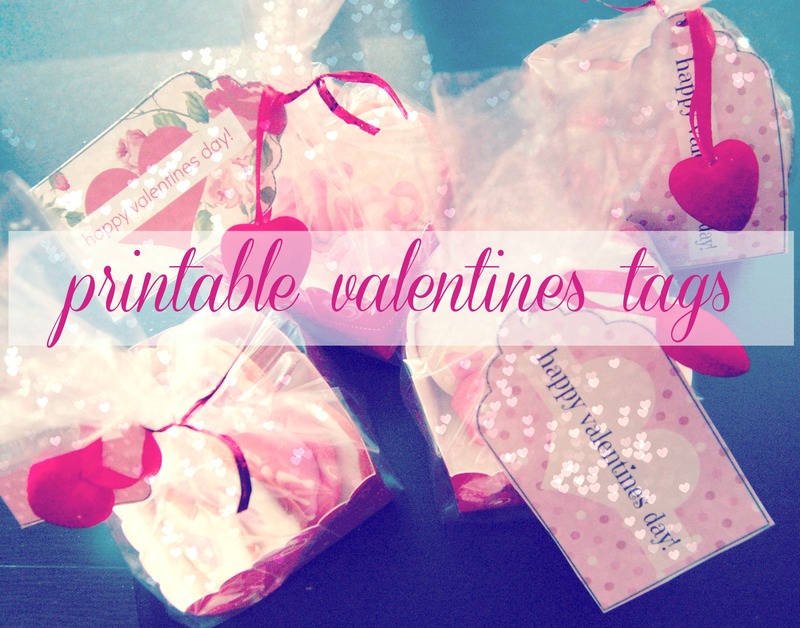 I wanted to share with you some Valentine’s tags (the ones I used for this project!) so you can download and attach them to your little gifts this year! I tried to leave you a little bleed in case you have subpar cutting skills and hate having the white line around your printouts, like me!